Sometimes a one-off training session isn't enough or you're interviewed so infrequently in real life that you feel as if you aren't making enough progress. So this longitudinal learning as we rather grandly call it is designed to give you bite size lessons over a period of weeks, months or (if you're really dedicated) years. As it's a one-to-one session we can, of course, tailor the content to your own particular training needs whether that's to help you draw up your key messages in the first place using our indispensible planning matrix or to assist you getting better at dealing with the questions you're asked more swiftly so you've got the time to move on to what you really want to talk about. 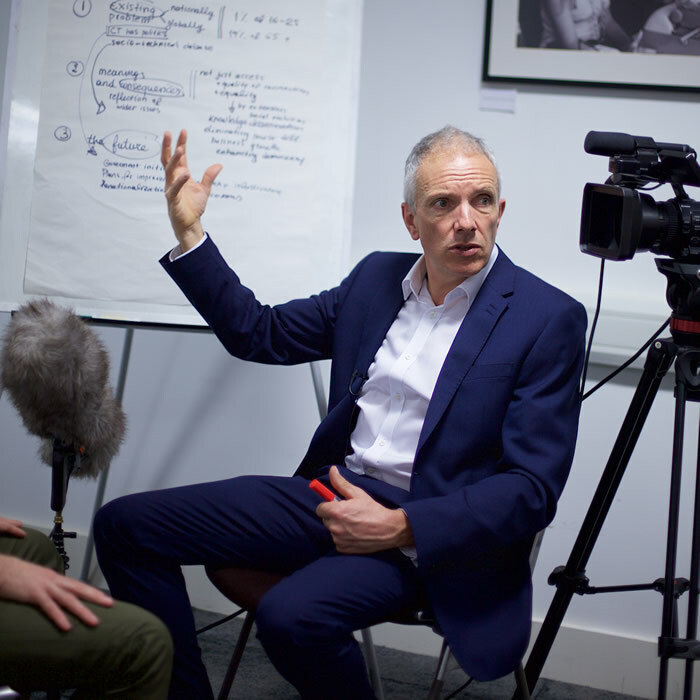 If you've already been on one of ACM Training's media workshops you'll be familiar with the facilitator, the ever-friendly and always insightful Richard Uridge. He's a flexible sort of guy so if for any reason you want to do the training in the evening, at weekends or in the dead of night he'll almost certainly accomodate - even if he's off riding his bike. After all that's what mobile phones are for. Isn't it? !